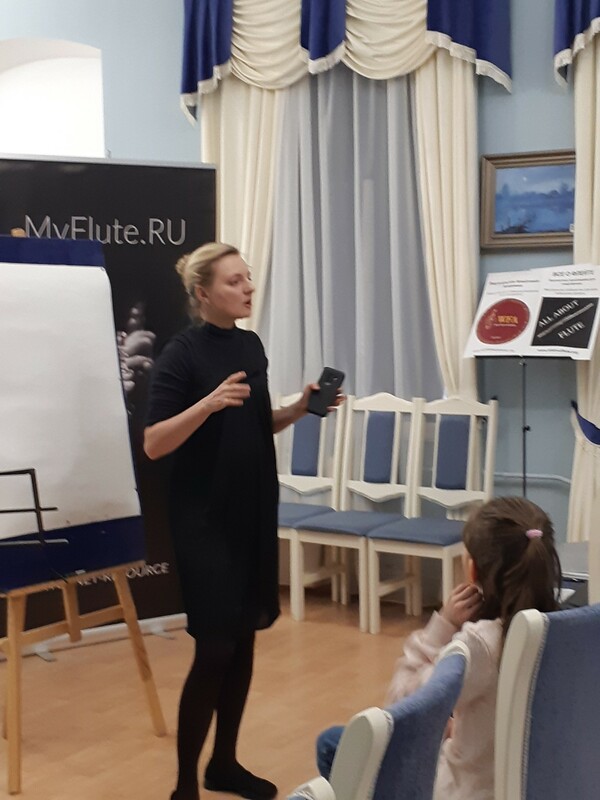 In March of 2019 Yulia Berry was in the jury for the online competition "My Favorite Flute", the final round of which took place in Moscow in April of 2019, during the festival "Great Flute Days 2019". 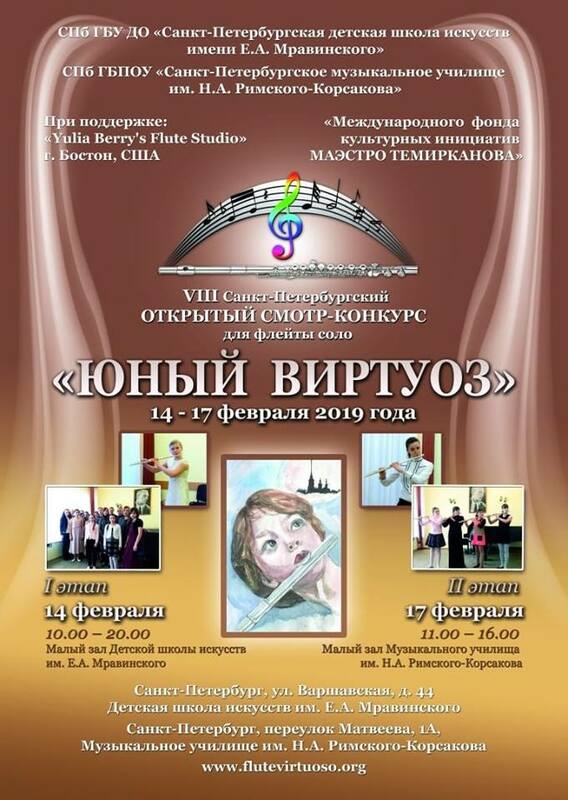 Both Yulia Berry's projects "All about Flute" and "Web Flute Academy" supported this biggest flute event in Russia. 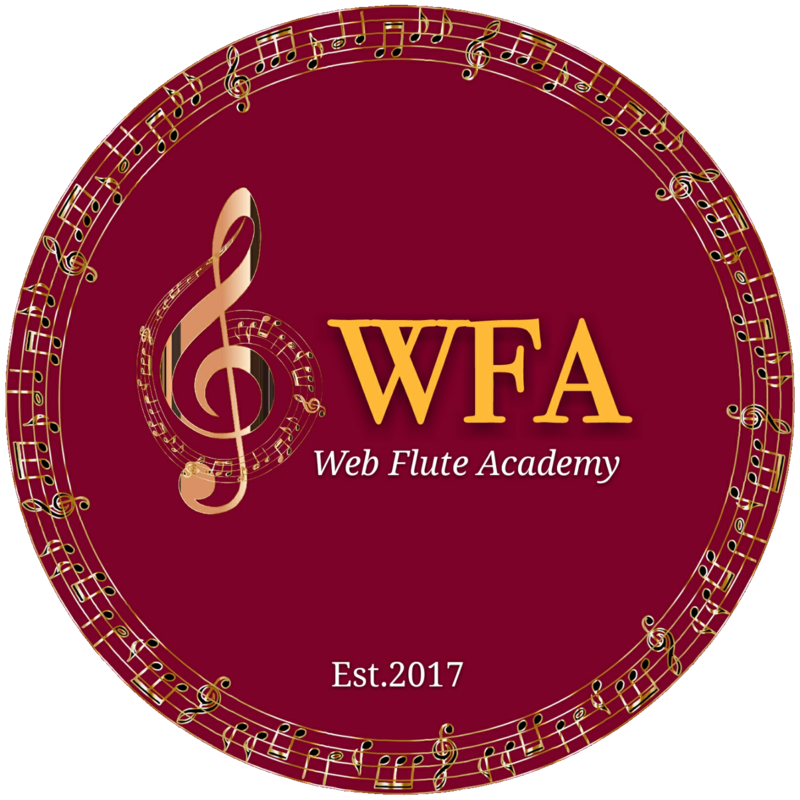 Our Studio has been involved into "Young Virtuoso" competition, supported also by the Foundation of Maestro Yuri Temirkanov, for 8 years! 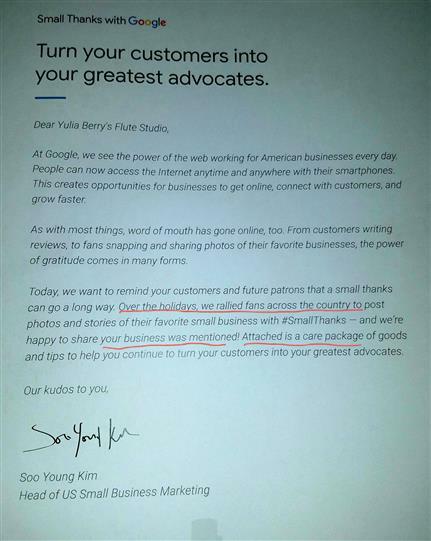 Very proud to be a part of such a great project! 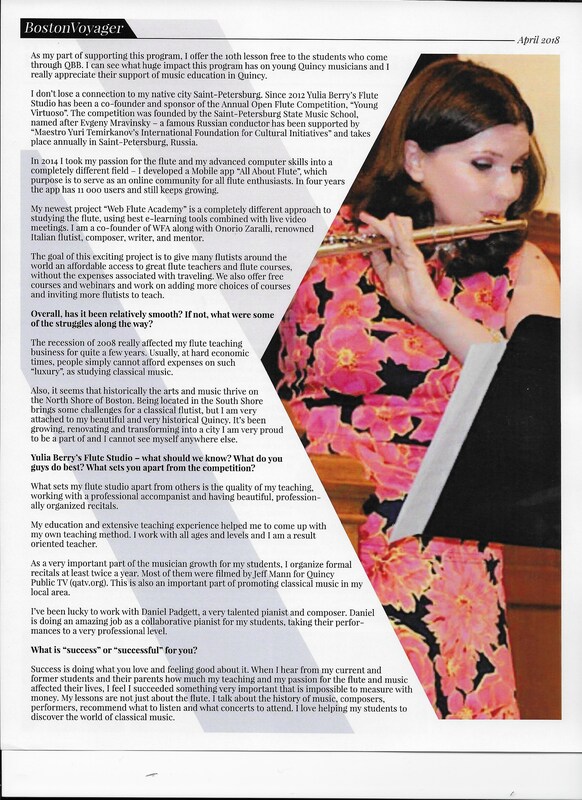 Yulia Berry was the author of the innovative idea, a co-organizer and one of the judges for Eugene Magalif's Flute Concerto International Competition 2018. 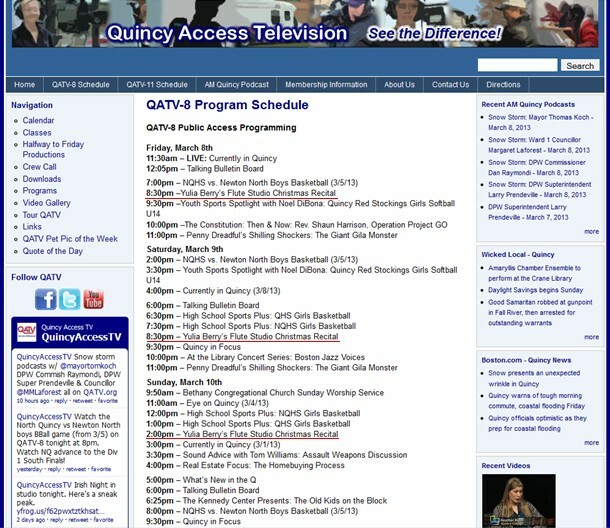 It was held online in November 2018. 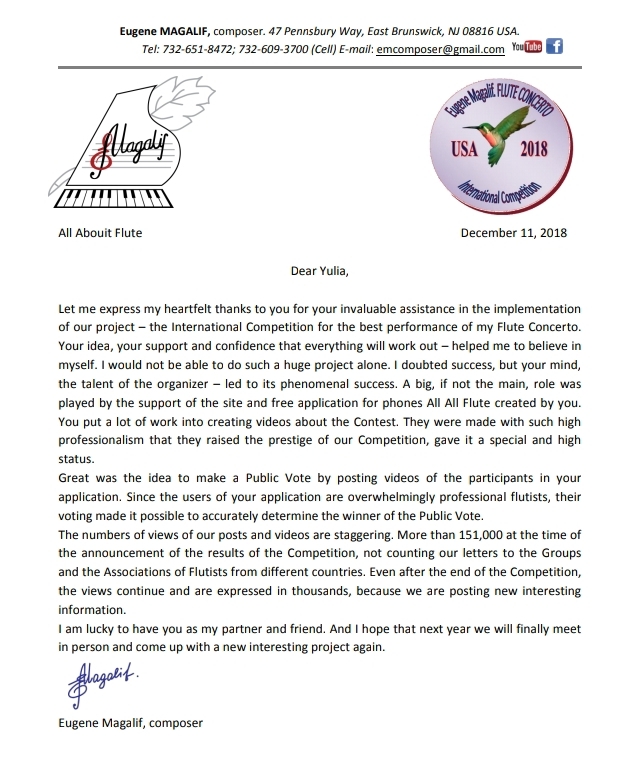 The competition received a tremendous amount of attention on social media, got over 150000 views in total and had 18 finalists from 10 countries. 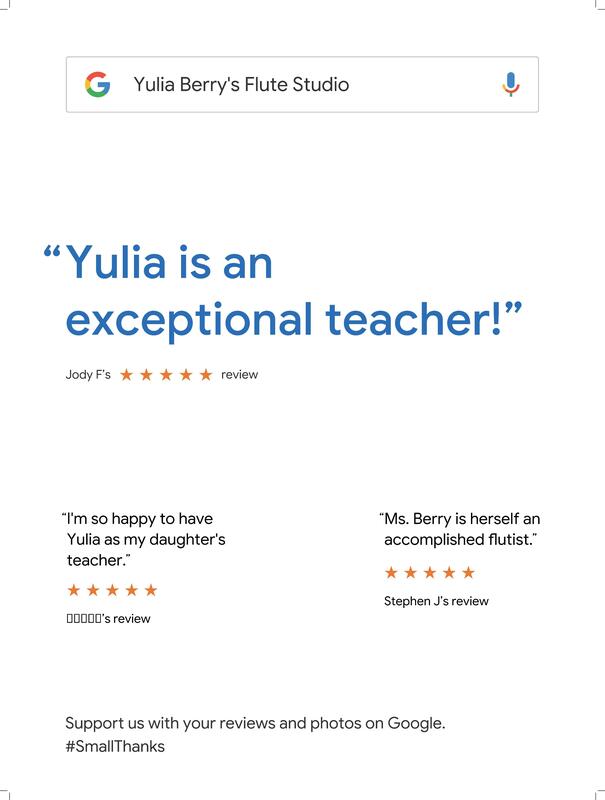 Thank you to my students and their parents for leaving these great reviews on Google! 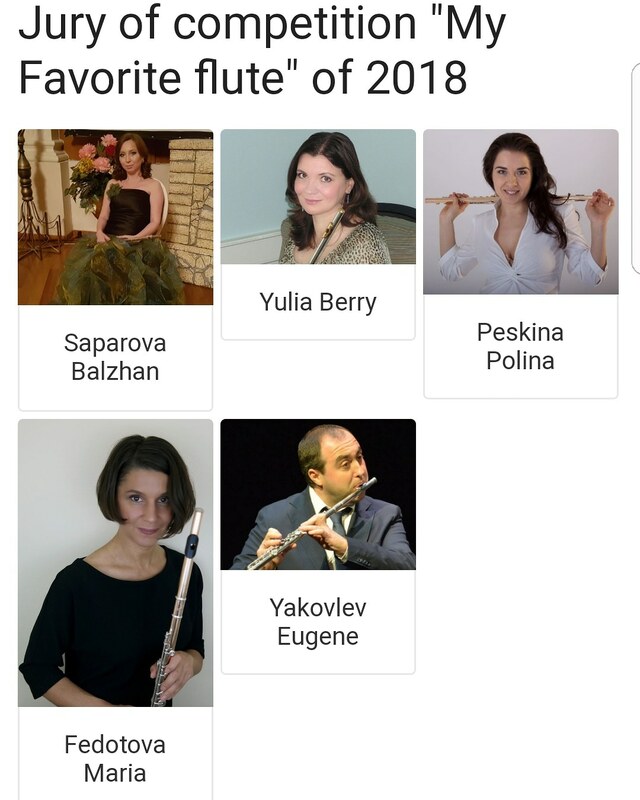 In March of 2018 Yulia Berry was invited to be in the jury of the 9th International Internet competition "My Favorite Flute". 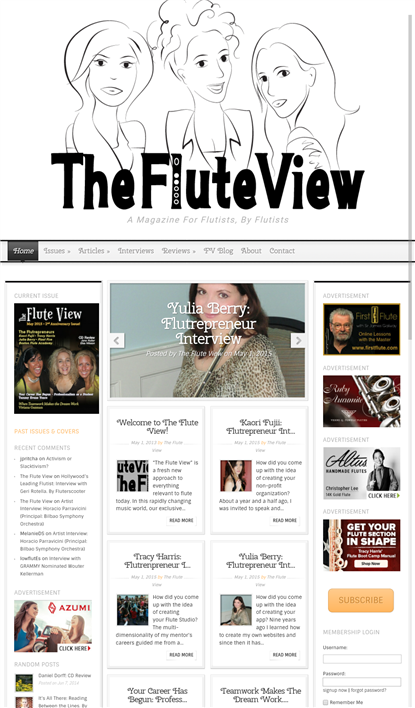 Since 2012 Yulia Berry has been a co-founder and sponsor of the Annual Open Flute Competition "Young Virtuoso". 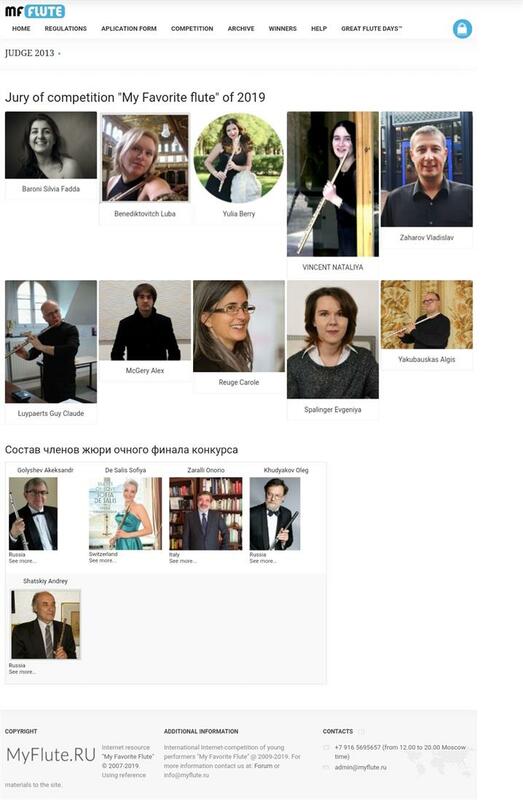 The competition was founded by the Saint-Petersburg State Music School named after Evgeny Mravinsky - a famous Russian conductor, has been supported by Maestro Yuri Temirkanov's International Foundation for Cultural Initiatives and takes place annually in Saint-Petersburg, Russia. 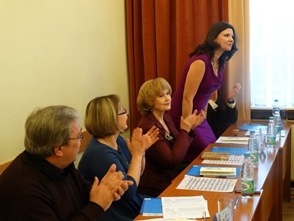 In 2016 Yulia Berry was a guest judge at the V Anniversary Competition. 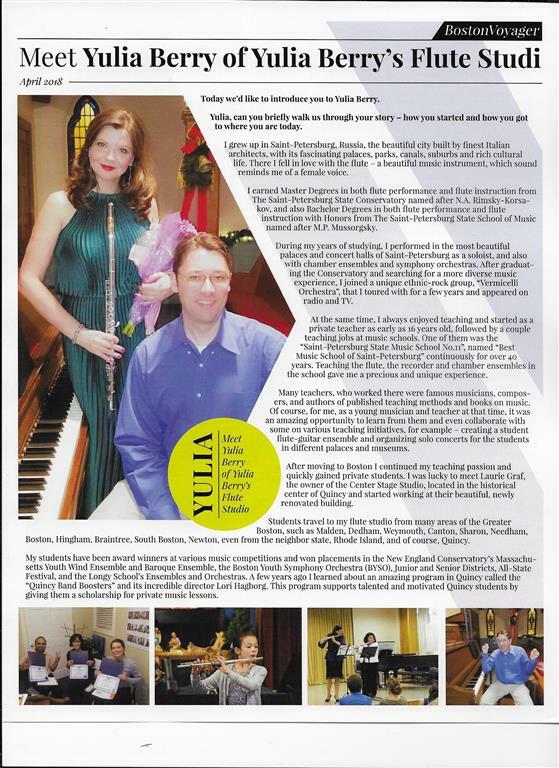 Yulia Berry's Flute Studio Recitals have been filmed and shown regularly on Quincy Public TV since 2012.